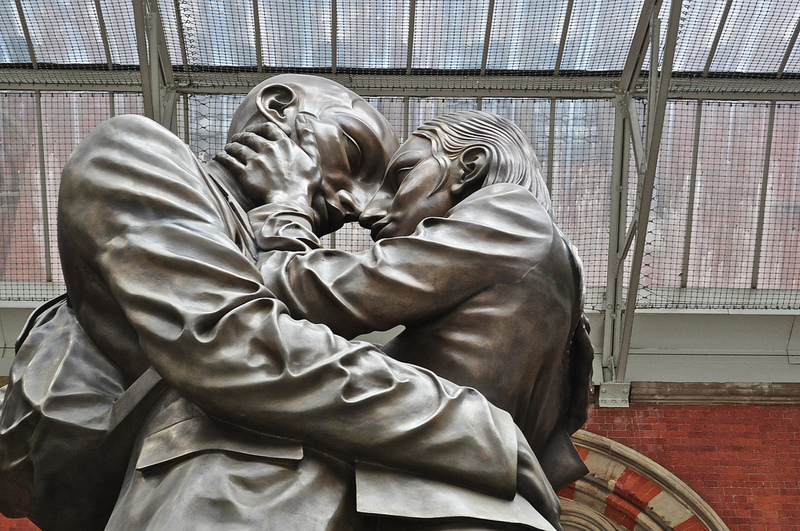 For me, the interest in this statue is of the entwined couple, standing under the clock at St Pancras International, surrounded by the architectural beauty that is Barlow’s great train shed – the Victorian engineering marvel of its day. 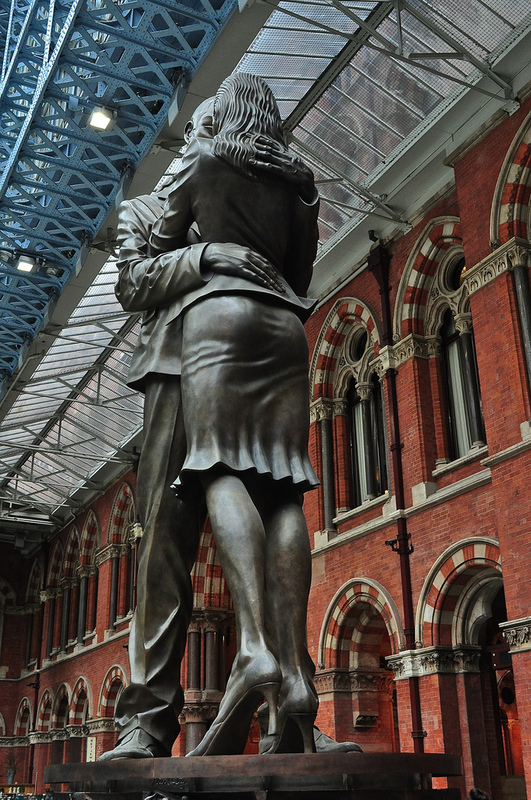 This 9 m tall (29.53 ft) statue – more accurately known as The Meeting Place – was created by sculptor Paul Day, commissioned by the owners of St Pancras who wanted a monumental statue to reflect the romance that train travel used to have. What’s more romantic than an embracing couple? 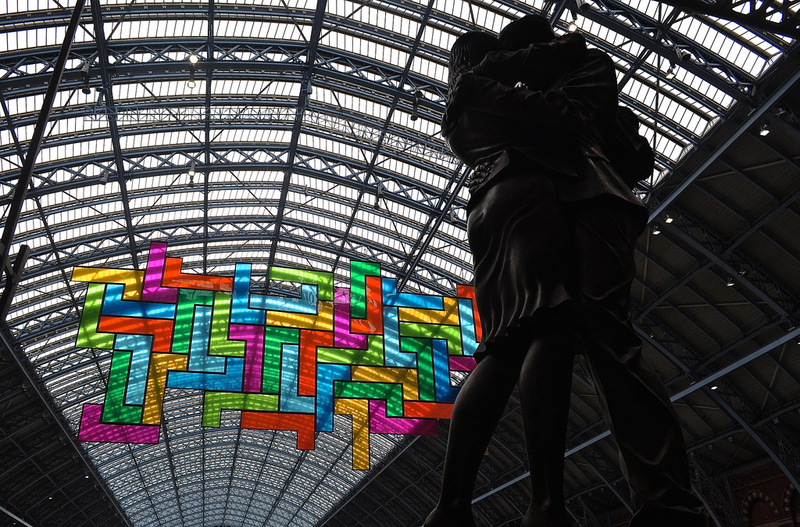 The frieze around the base of the statue is of contemporary scenes from London life and is fascinating but I prefer to reflect on the statue itself and it’s juxtaposition with the sweep of the train shed arch and another contemporary artwork – Chromolocomotion by David Batchelor. Unforgettable. 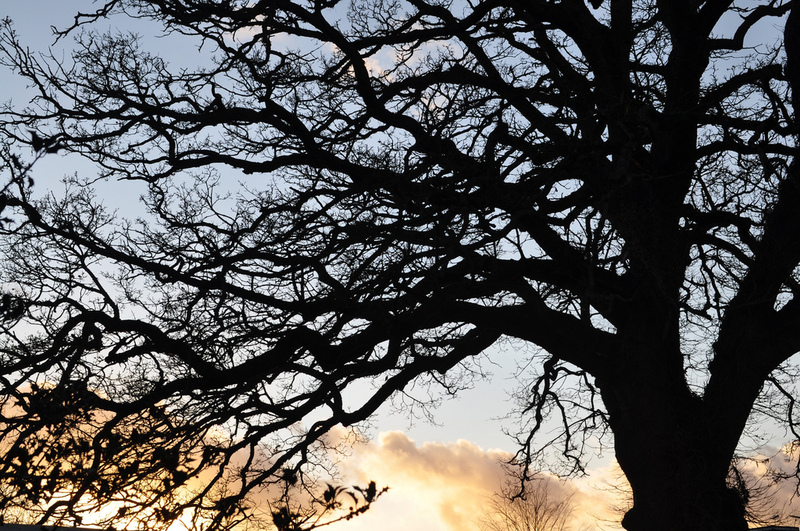 Follow A3Traveller on Twitter: @A3Traveller and Sue Lowry on Google +, YouTube, Linkedin, Flickr and Pinterest. I also operate another blog for my company, MagellanPR – http://www.magellanstraits.com. They can be followed on Twitter: @MagellanPR, on Google+, on YouTube, on Pinterest and on Facebook.